MOSCOW, February 22. /TASS/. 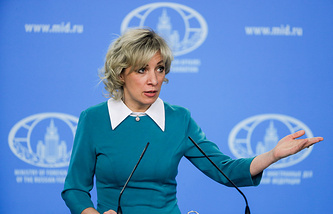 The United States has left unanswered Russia’s proposal for reaffirming the commitment to efforts for preventing nuclear war, Russian Foreign Ministry spokeswoman Maria Zakharova said in the wake of calls from the mayors of Japanese cities Hiroshima and Nagasaki, addressed to Russia and the United States, for preventing the severing of the Intermediate Nuclear Force Treaty. "Washington is obviously not in the mood of having a meaningful and equitable discussion of the INF Treaty. Moreover, it shows no readiness in general for resuming a systematic bilateral dialogue on strategic issues and disarmament," Zakharova said. "Our proposal for joint reaffirmation of the commitment of Russia and the United States to efforts for preventing nuclear war has remained unanswered. Instead, the United States focused on attempts at excusing at any cost the obvious failures of its intelligence services, which provided either wrong or falsified information about the Russian missile (9M279 for the Iskander system - TASS)." The United States is pushing ahead with intentional efforts to do away with this treaty. "We are well aware of the public’s concern over the collapse of the INF Treaty, which is capable of dealing a hard blow on international security and global stability and drawing whole regions into a multilateral rams race. This will be fraught with faster erosion of the arms control architecture and negative effects for the future of nuclear disarmament and stability of nuclear non-proliferation," Zakharova said. "Russia has repeatedly urged the United States and its allies in Europe and Asia, who unconditionally support Washington’s destructive polices, to pay due attention to this. We’ve proposed practical solutions that would make it possible to lift mutual concerns, preserve the treaty and continue the dialogue on nuclear arms reduction. We have to state with deep regret that all of them have been left unnoticed." "We have never withdrawn any of our proposals. All of them remain on the table. Russia has not abandoned what it proposed. It is to be hoped the United States will eventually become aware solutions through a dialogue will be more preferable and will realize the futility of attempts to attain military supremacy," Zakharova said. "We would like the mayors of the Japanese cities and their population to know this. Everything that we’ve done has remained unnoticed. No concrete action followed," Zakharova said. At the same time she pointed to publications in some Japanese mass media the country’s leadership might nominate the US leadership for the peace award. "It is not quite clear how this can be reconciled within one country and one political system," she added. The INF Treaty was signed by the Soviet Union and the United States in Washington on December 8, 1987. It prohibited the creation, production and deployment of ground-based missiles having a range of 500 to 5,500 kilometers. The ban does not apply to sea-based cruise missiles, including US Tomahawks. The conclusion and step-by-step implementation of that treaty verified by mutual inspections contributed to easing tensions in Europe. 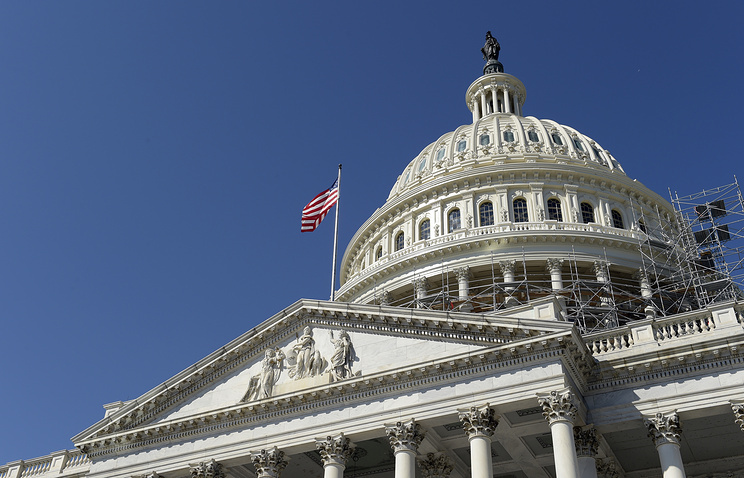 The United States for the first time accused Russia of violating the INF Treaty in July 2014. Washington has repeated the charges many times since. Moscow strongly disagreed and put forward its counterclaims over the United States’ non-compliance. US Secretary of State Michael Pompeo on December 4, 2018 said that Washington would terminate its observance of the INF Treaty if Russia in its opinion failed to come back into compliance. Russian President Vladimir Putin told the media the next day that the American side had not provided any proof of Moscow’s alleged violations of the treaty. Russia is against ruining this agreement but will be forced to react accordingly if the United States preferred to quit, Putin warned.